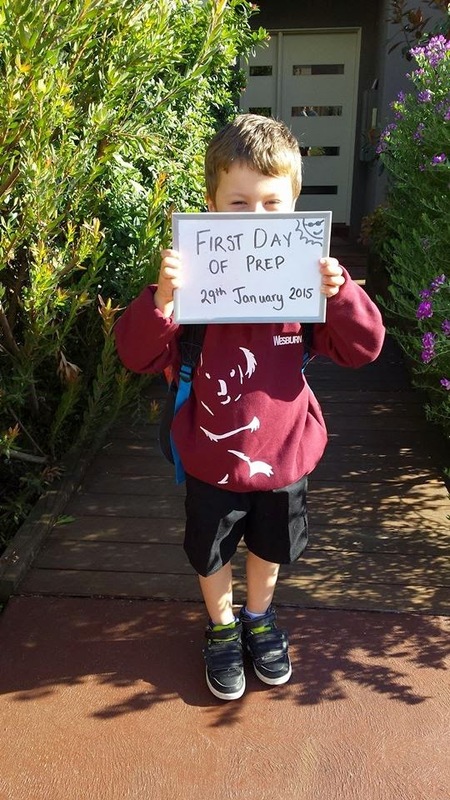 Apparently, he was up at 6.30 this morning, uniform on and holding his lunchbox, lol...Excited much! 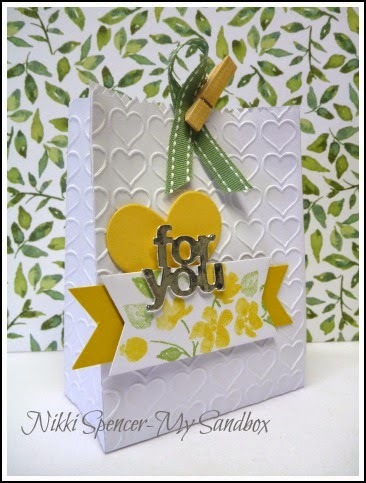 So, now it's onto all things crafty..:0) Over at Just Add Ink this week, we have a lovely colour challenge happening, suggested by Kim. 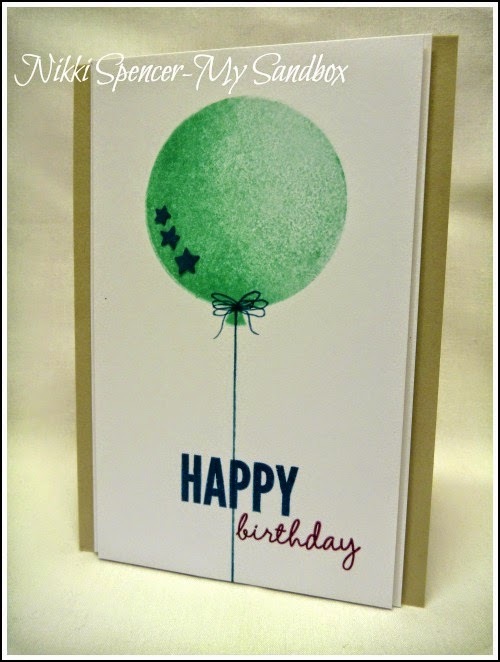 Not that you would think, but my lovely big balloon is "Pool Party"...I kept my colours to minimum use and left my card very CAS. 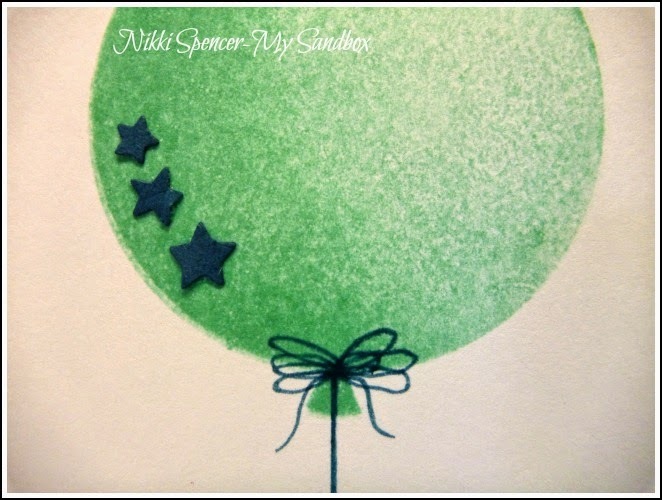 I created the balloon shading by inking it up with Pool Party and stamping my first impression, then re inking the image and using some towel, l patted away the majority of the ink and re stamped, therefore creating the shaded area....Oh the beauty of Photopolymer stamps...I love them! 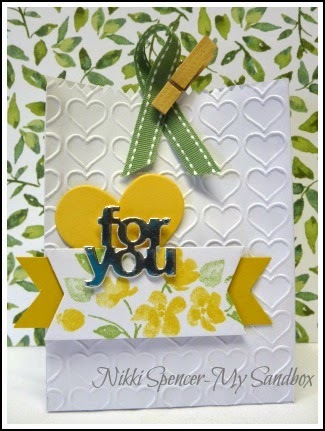 Don't forget to pop over to the blog and see all of the great projects from the design team. Happy Australia Day Folks!....I hope everyone's enjoying a fabulous long weekend here in oz. 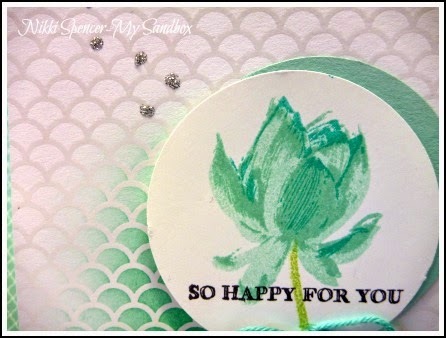 Lotus Blossom and the Irresistibly Yours DSP, were the first must haves on my list. 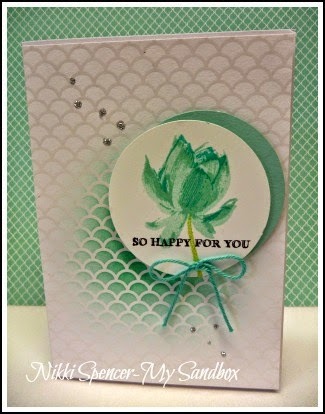 I love the 3 step stamping with this set and the pre done embossing on the DSP, makes it a breeze to create with...Ya gotta love that! The colours l inked with are Full image: Pool Party, Half image: Coastal Cabana & the last finer detailed image is: Bermuda Bay....Sweet & Simple! 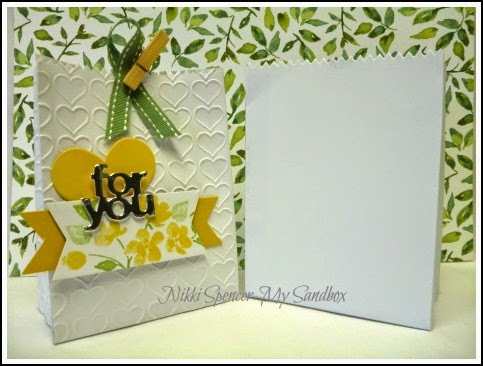 Just Add Ink #247...Just Add Love.Blog Hop! 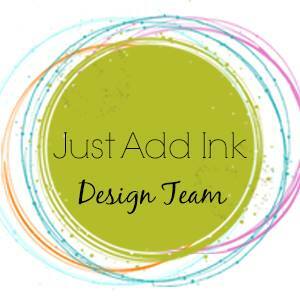 Welcome to our first Just Add Ink Challenge for 2015. 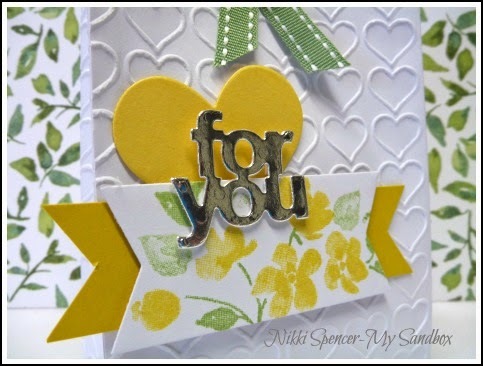 To kick start the year, we have a fun "JUST ADD LOVE" challenge suggested by Christine, but this one has a twist! 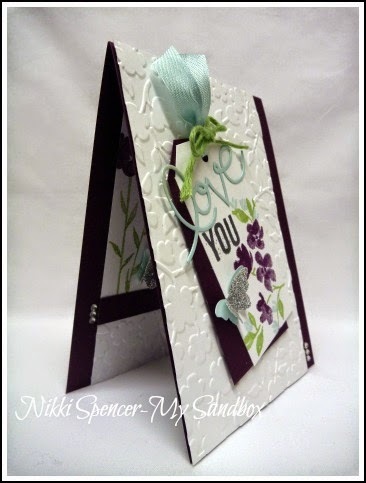 We want you to incorporate the sketch that Kim has provided using a love element as well. 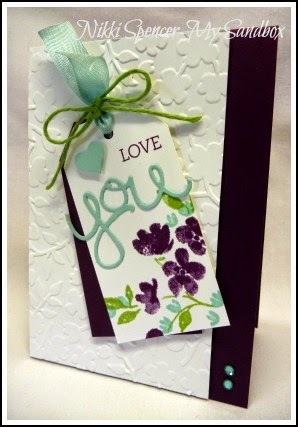 You can use the sketch on a card or scrapbook layout, or you can create a 3D project and add the tag. 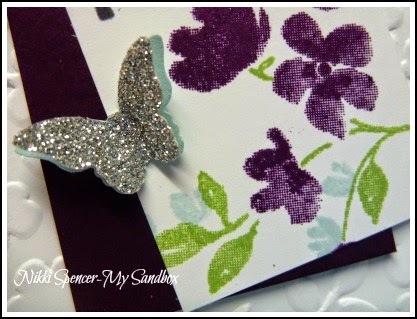 Lot's of possibilities and the design team have some fabulous projects to inspire you. 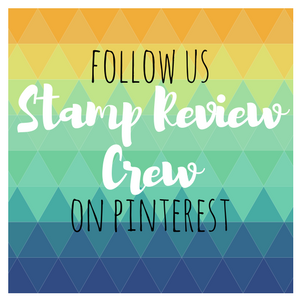 If you are following the "Blog Hop" you would have just come from the lovely Patrice and her stunning project...But if not, you can continue around the loop by clicking on the blog hop button below, or if you wish to start at the beginning, you can do so from Here. 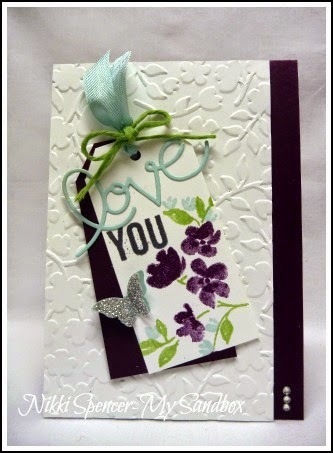 I went with cards, using the sketch and literally added "LOVE"...:0) These were the first projects l created with the gorgeous "Painted Petals" set, which l absolutely adore! They are both basically the same, just a couple of variances on the tag and inside. 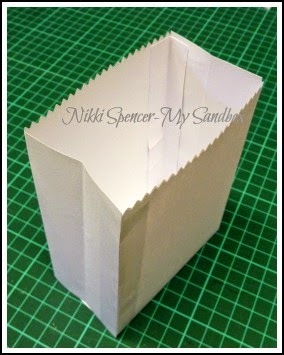 Mini Treat Bag Box with Tutorial! 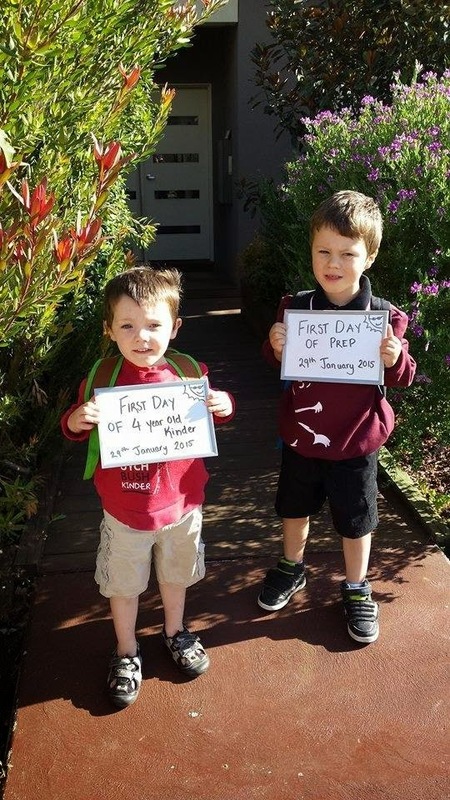 "HAPPY NEW YEAR" everyone! I hope you all enjoyed a lovely Christmas and wishing you all, a year filled with much love and good health! 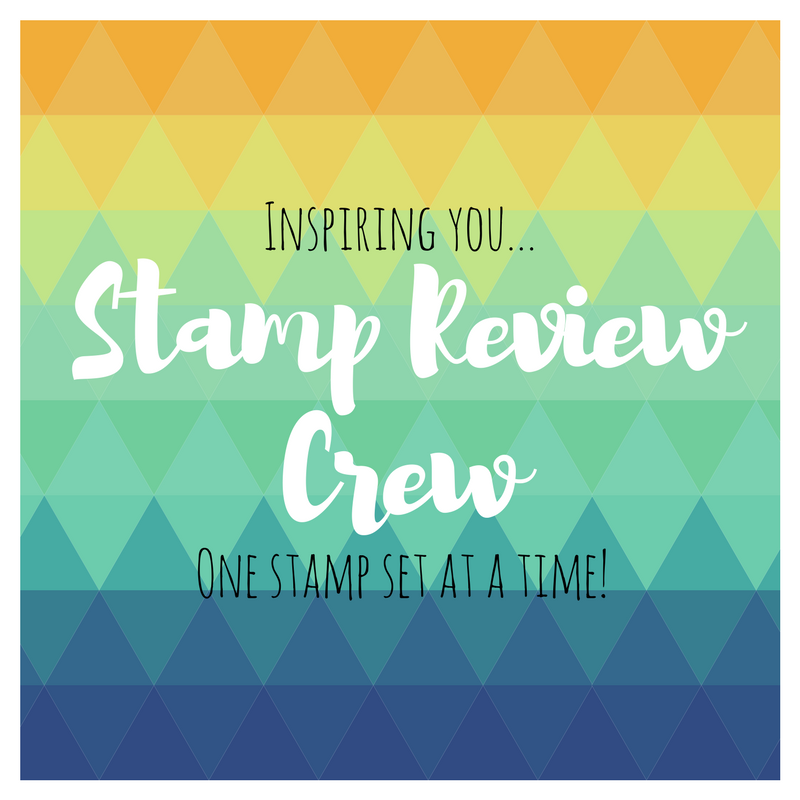 Today is the release of the yummy new "Occasions and Saleabration" brochures from Stampin Up....One of my favorite times of the year! 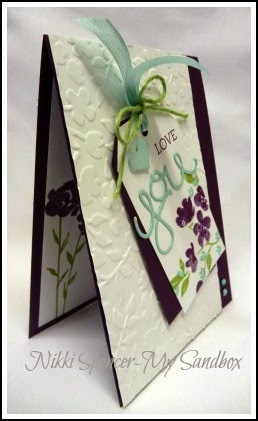 My project today, is made with the super cute "Mini Treat Bag" Thinlit and few other fun products as well. Whenever l get a new Thinlit or Die, l always look for alternative uses, as l love the idea of using them in other ways and getting more bang for my buck, so to speak. 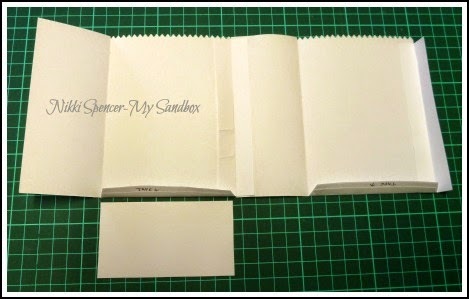 This post is fairly photo heavy, as I've put together a basic little photo tutorial to show you the process. Cut 2 diecuts using the larger front thinlit. Your pieces laid out should look like this! l have removed the higher arched sections on both panels. Attach the bridge strips to each front panel as shown above. 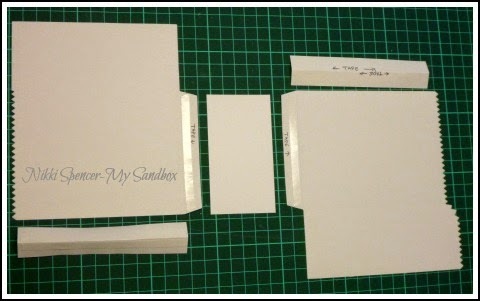 Then join your 2 front panels, using the bridge strips, as in the pic below. 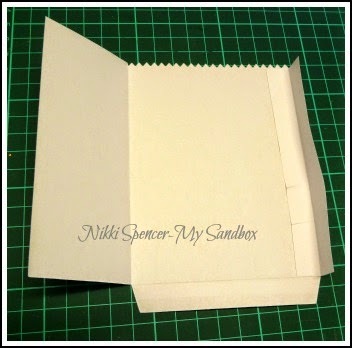 The last step is to attach the last side together and using the taped flaps, add your base.